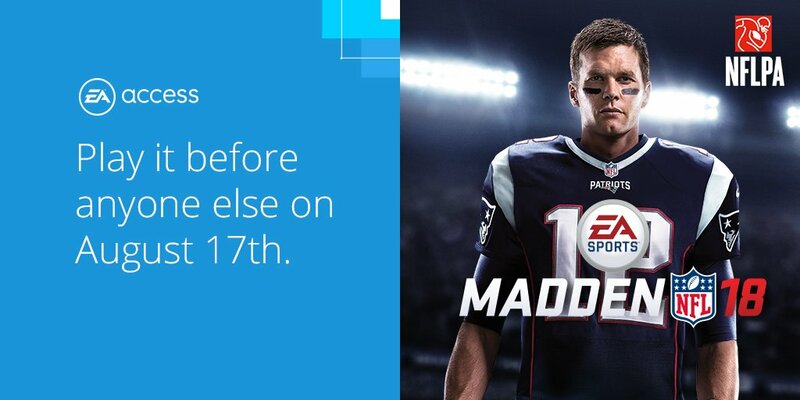 On August 25, the game "Madden NFL 18" will finally be available for sale on the Xbox One and PS4 consoles. But Electronic Arts has thought of the most impatient of you. Thanks to the EA Access application, it is possible to discover the game in test version now. Several conditions must be fulfilled for this. The first is to become a member of this portal, for the small sum of $ 4.99 per month or $ 29.99 a year. The second is to own an Xbox One, this console being the only one that allows to take advantage of this offer. EA Access is an application that allows its members to preview a number of EA Games games, with games that can last up to 10 hours, and up to 10% reduction on some Electronic Arts items. Members finally have access to a catalog of developer's historical games.